The Königlich-Bayerische Schlossgaststätte Leutstetten beer garden is located opposite a castle built by the Wittelsbacher family in 1595. 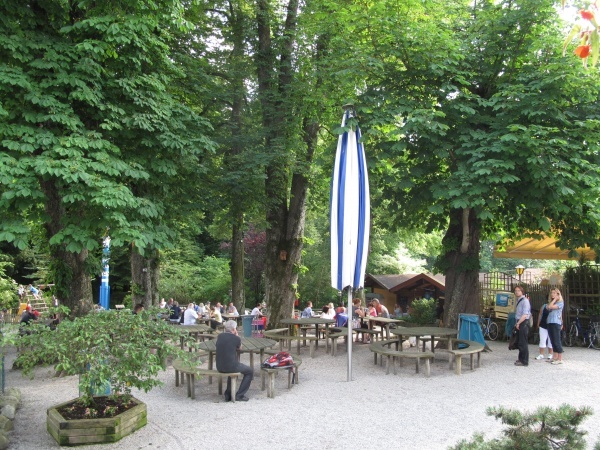 The beer garden is popular amongst day-trippers and bikers en-route Starnberg or Munich along the nearby Würm stream. The Schlossgaststätte is still owned by the Wittelsbacher family. The restaurant adjoining the beer garden was once the living quarters of the servants and is now decorated with old photos and memorabilia of former times collected over generations. The beer garden has 500 seats on traditional fixed-to-the-ground tables and benches under giant chestnut trees. The self-serviced food stall offers a wide variety of homemade food such as potato salad and Obatzda (trational Bavarian cheese creation) as well as delicious spareribs, Hendl (grilled chicken) and Steckerlfisch (grilled fish on a stick). 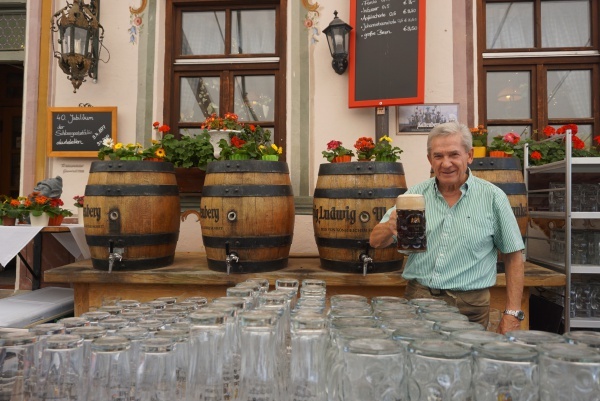 The beer served straight out of wooden barrels comes from the Kaltenberger Schloßbrauerei and costs €7 p/Maß (July 2017). The location is suitable for special events such as weddings in royal style. A former horse-riding hall has been converted to a theatre in 1983 and can be rented for large dinner functions or other events. The beer garden is open depending on the weather weekdays from 5pm until 11pm. Before then, guests can fetch their beer and food from inside the restaurant. On weekends the beer garden including the self service food stall opens at around 10am and closes around 11pm. This page was last modified on 18 May 2018, at 18:38.